Calling all Moms and Dads: Would you send your kids to colonize Mars? I tackle this subject in my guest editorial in the July-August issue of Analog. Available now. Hope you’ll give it a read. I’m always happy to hear from my readers what you think. 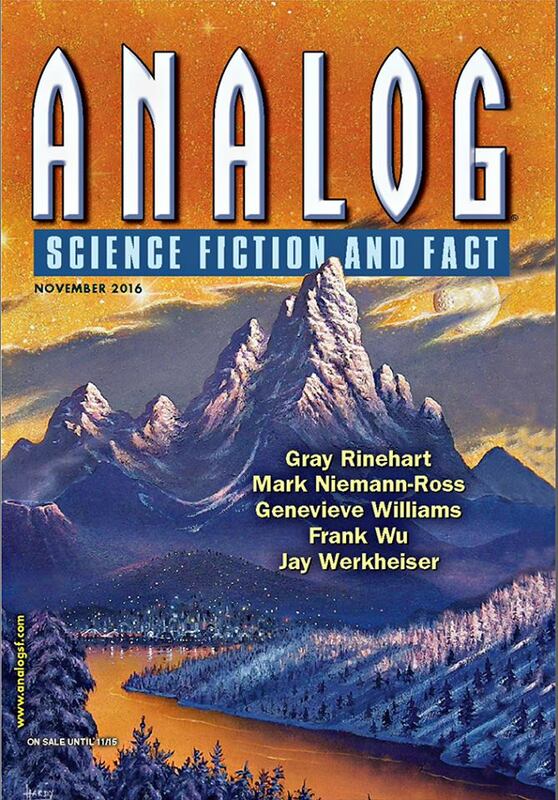 I have a new guest editorial in Analog’s latest issue: November 2016. I give some thought to placing a scientist and/or inventor on United States currency. Give it a read and find out who might merit this honor. Do you have suggestions of your own — someone I don’t mention, perhaps? Let me know in the comments. And hey, look at the other great stuff in this issue. I’m really pleased to be sharing a table of contents with these talented folks. As always, my thanks go to Trevor Quachri for giving me this opportunity and for unleashing his first-rate editing abilities upon this piece. Also, I just gotta say, man-oh-man this guest editorial-writing gig never gets old! 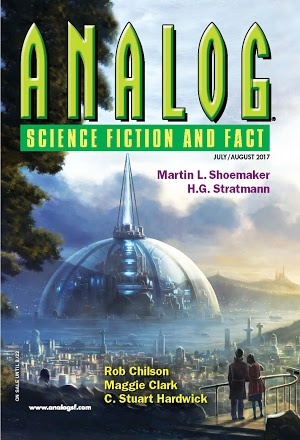 When my last guest editorial was published in the July/August 2015 issue of Analog, I got several questions, which I’ll answer here. 2. How is writing an editorial similar to writing fiction? I see several similarities. Everything begins with an idea that caught my interest and which I suspect may intrigue readers, too. Next comes the search for specific incidents to propel the editorial or story forward. In addition, both forms of writing benefit from an opening hook, rely on compelling prose to keep the reader turning the pages, and must have a central theme. 3. How does writing an editorial differ from writing a story? Two ways. First, an editorial can be more didactic, as readers are expecting the writer to put forth a set of viewpoints accompanied by cogent reasoning. In contrast, when reading fiction, people don’t want to be subjected to a sermon, which they’ll skip over to get to the “good stuff.” Or they might abandon the story entirely and hunt up something more interesting. Second, editorials are subject to a pretty strict word count. The writer must select a topic that can be addressed well in 1800 to 2200 words. 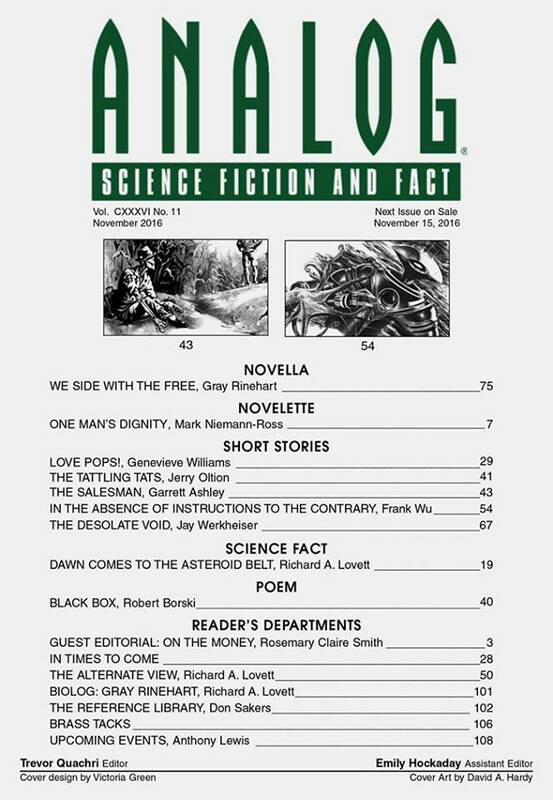 In contrast, short fiction will vary from under 1000 words to 20,000 words or more. 4. Can your readers expect to see more guest editorials instead of stories? I hope the answer isn’t either/or. I have fun w both. 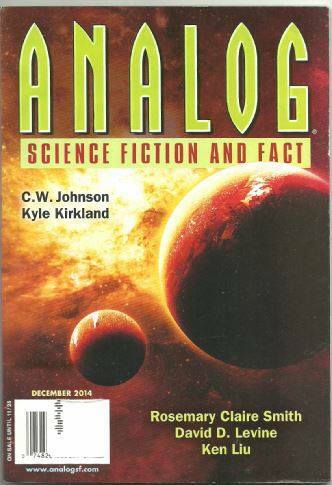 In fact, my next appearance in Analog will be a novelette featuring several characters my readers have seen before plus some new ones to keep things interesting. 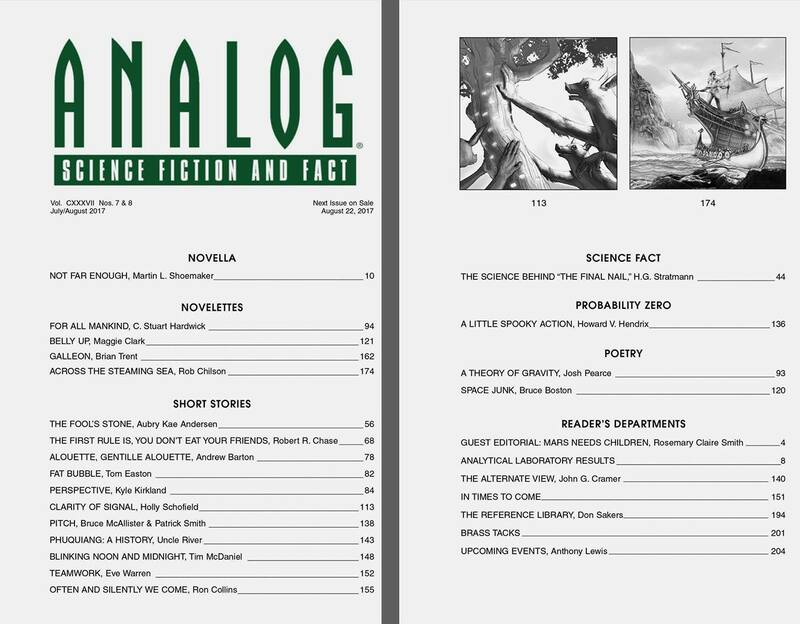 On Monday I signed and returned a contract for a new piece that will be published in Analog Science Fiction and Fact. 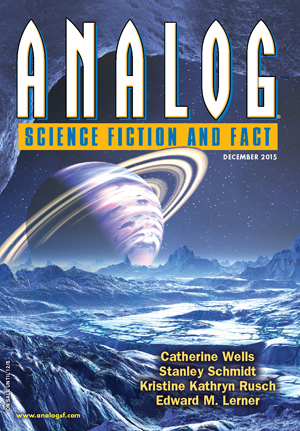 I’m simply thrilled to tell you that I’ve written a guest editorial for Analog. This is a really big deal for me as I think back to all those years when I’d invariably turn to Stan Schmidt’s editorials before reading anything else in the latest issue. Come to think of it, I still find myself reading the editorial first. Nonetheless, I never would have imagined I’d be following in Stan’s footsteps, even in this small way. Nor did I anticipate this being my next Analog sale even a few months ago. 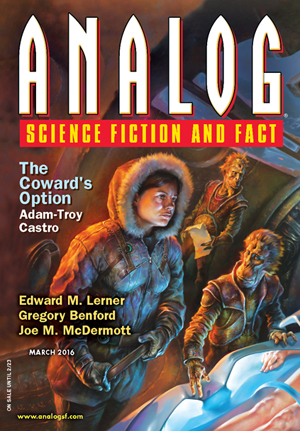 It began with a conversation I had with Trevor, Analog’s current editor, at World Fantasy Convention last November. After we had flitting among all sorts of topics, Trevor asked if I’d be interested in trying my hand at a guest editorial. Well, yes, I said. Yes, I would. A week or two later, I had come up with the outlines of a topic I thought would be of interest to Analog readers. One thing led to another (which isn’t something I take for granted), and now I’m pleased to say that you’ll be able to read my editorial in the July/August 2015 issue. So what is my guest editorial about, you may ask. Well, I’m thinking I’d rather let it be a surprise. But not to worry about missing it. You can bet I’ll remind my regular followers when the magazine is sighted in the wild.